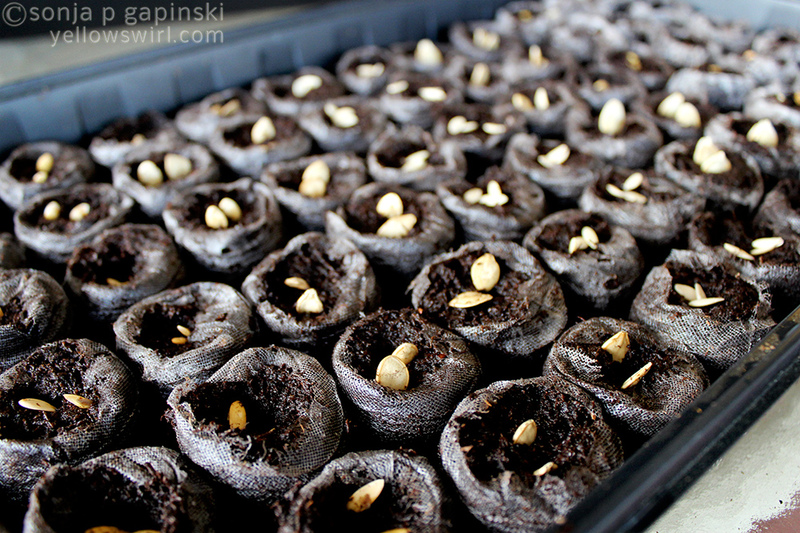 Today we started our first batch of seeds. 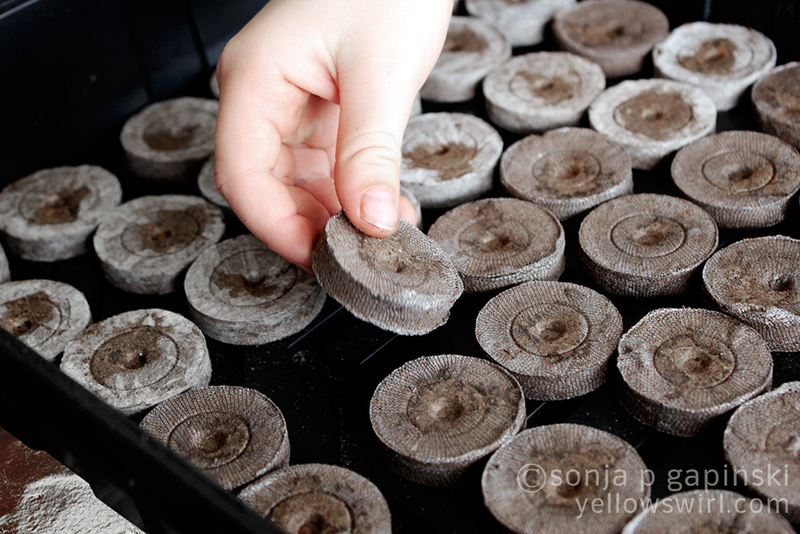 We placed these pellets in a tray then added water and waited for them to absorb the water. We got these at Lowe’s, but you can get them at any garden center. Then we placed the seeds in. Now we wait for them to sprout!